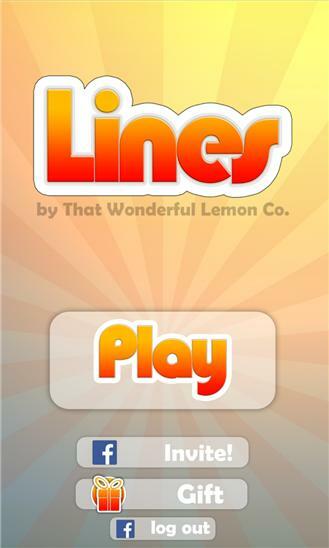 Published by That Wonderful Lemon Co.
Lines - a unique puzzle game! 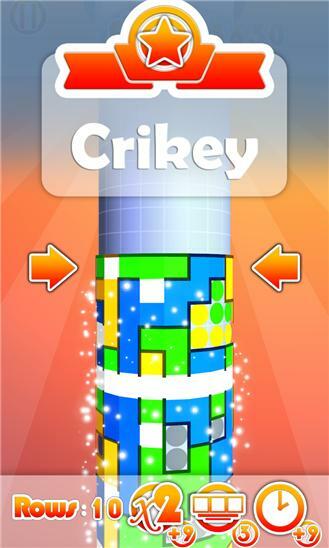 Enjoy addictive colour-matching, line-making, seat of your pants action! Use your finger to turn the row, match colours to make Lines. The longer the line, the higher your score! Help out friends and have them join you racing through the levels. 'I love this game!' - my Mum. 'Well done, now go and get a proper job' - my Dad --------------------------------------| Lines features: - Loads of levels - Fancy graphics - Your friends faces and messages - Leaderboards for you to show off your amazing prowess - Prizes which can help you score even higher! --------------------------------------| Now, you and your stylish hair should be aware that there are a couple of bits you can buy in this game, but there is absolutely no reason you have to spend a penny! It is greatly appreciated, but we will love you even if you don't spend a thing. Remember, you can disable in-app purchases in the settings. You have fabulous features and I have a fancy hat, come, lets make beautiful Lines together! --------------------------------------------------------- Update includes: -Improved Windows Phone sharing. -Giving even more free gifts. -Squashed a couple of bugs. -Added between 10% and 12% more awesome.